2 Bedroom Terraced House For Sale in Luton for Guide Price £220,000. 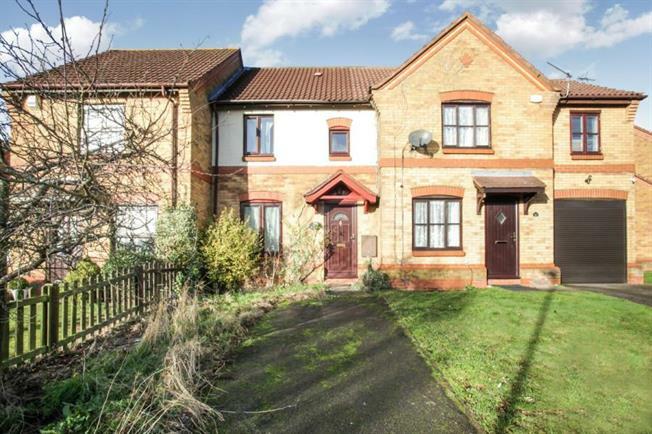 Situated within the sought after Bushmead area of North Luton is this chain free freehold home. Bushmead has earned a great name over the years and is ideal for anyone looking for a first time purchase. Internally to the ground floor is a large living room leading through to a refitted kitchen/breakfast room and access into the rear garden. The first floor benefits from two well proportioned bedrooms and a family bathroom. The large rear garden is secluded and there off road parking. Double glazed window to front aspect, single panel radiator, laminate flooring. Double glazed window and sliding door to rear aspect, stairs to first floor, single panel radiator, laminate flooring. Double glazed window to rear aspect, range of base and eye level units with roll top work surface over, built in gas hob & electric oven with extractor fan over, plumbing for washing machine, part tiled walls, tiled flooring. Double glazed windows to front aspect, single panel radiator, fitted wardrobes, laminate flooring. Double glazed window to rear aspect, single panel radiator, laminate flooring. Obscure glass double glazed window to rear aspect, single panel radiator, low level wc, pedestal wash hand basin, walk in shower cubical, part tiled walls, tiled flooring.